And you can help us put Him in more. 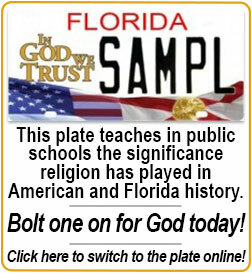 We teach students in public high schools across Florida the significance religion has played in American & Florida history. Where it all really came from. What the intent and practice of our founding fathers really were. This program uses vetted well developed video and print materials which examine how faith played an extremely important part of the earliest Americans' societal motivations, significantly influenced every aspect of social and political structure, and was at the heart of many of the laws which governed early and American society to date. As opposed to the fanciful amoral construct presented across the board today, religion in fact played a vital role in everyday life and the political direction of the Colonies, the early United States, and American laws, morals, and life until perhaps only fifty years ago when that fact began to be hidden. Religion formed the basis of our freedoms and individual rights in the Western world. In ancient times the law did not recognize the intrinsic value of each individual human being. Roman law protected social institutions and the individual was of value "only if he was a part of the political fabric and able to contribute to its uses as though it were the end of his being to aggrandize the state." (Frothingham, R., The Rise of the Republic of the United States, Brown, Boston, MA, p. 6, 1910). The ancients did not even have an idea of the concept of individual rights, like personal security, freedom of conscience, freedom of speech, freedom of assembly, freedom of association, and the like. It is axiomatic that The Bible is the most important book affecting that development of the rule of law, individual rights, and democratic institutions in the Western world. The rule of law talks about the protection of the individual by God-given liberties -- inalienable rights --, not given by and dependent upon an all-powerful government. But collectivists have over the past several decades deeply eroded this true history under a number of pretexts, and greatly advanced governmental power over the life and liberty of individuals. Public schools are now the principal place of reeducation and concentration on collectivist dogma of America's children. 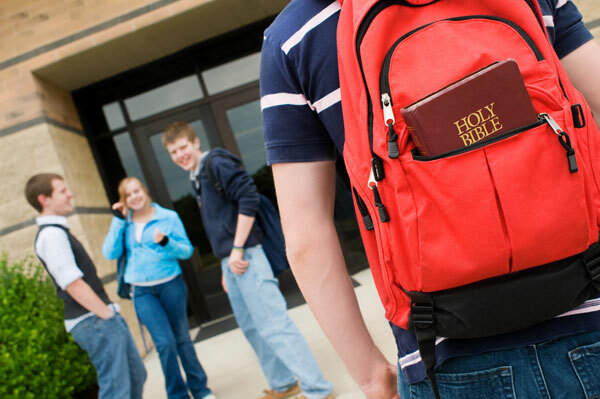 Teaching the historical significance religion has played in American and Florida history in public schools will help regain, for present and future generations, a life of freedom under law, as opposed to subjection to the arbitrary will of human authorities. The children in public schools will know the truth and it will set them free.